Election season come and fiery exchanges between rival parties becomes a commonplace phenomenon. The latest in the series is Prime Minister Narendra Modi’s dismissal of Congress over its use of the term–“Hindu terror”. In his maiden election rally in Maharashtra for the upcoming polls, Modi slammed the party for “coining” the term ‘Hindu terror’. “The Congress attempted to defame the crores of Indians by using the term ‘Hindu terror’,” he said. Modi’s tirade is the latest in the political slugfest triggered by the acquittal of the Samjhauta train blast accused Swami Aseemanand. The terror tag: Alluding to the acquittals in the blast case granted last month, Modi in a rally in Wardha in Vidarbha region said that Congress’ conspiracy had been exposed. “How can the Congress be forgiven for insulting the Hindus in front of the world? Weren’t you hurt when you heard the word ‘Hindu terror’?’ he said. This isn’t the first time that the BJP has pulled up the Congress for using the term. Earlier, BJP president Amit Shah had hit out at Congress for using the term in connection with the Samjhauta blast case. "Rahul (Gandhi) Baba's party attempted to link the Hindu community with terrorism. It was a bid to defame Hindus everywhere," Shah had said. The retort: The Congress, however, hit back at PM Modi and accused him of lying. Congress spokesperson Manish Tewari said that the term had actually been defined by senior BJP leader RK Singh during his tenure as the Union Home Secretary. “Terrorism does not have any religion or caste and it needs to be fought,” Tewari said. In the line of fire: The prime minister also kicked up another row as he demanded an explanation from Congress over Omar Abdullah's 'Kashmir PM' remark, the National Conference (NC) vice-president on Monday. Abdullah had said during a rally address in North Kashmir's Bandipora district that those threatening to scrap Article 35A should know that Jammu and Kashmir would get back its posts of Prime Minister and "Sadr e Reyasat". Modi replied to the opposition party leader's comments saying, "He says we will take the clock back and replicate the situation before 1953 and there will be two Prime Ministers in India, Kashmir will have its separate PM". The head of National Aeronautics and Space Administration (NASA) on Monday branded India's destruction of one of its satellites a "terrible thing" that had created 400 pieces of orbital debris and led to new dangers for astronauts aboard the International Space Station. “That is a terrible, terrible thing to create an event that sends debris at an apogee that goes above the International Space Station," Jim Bridenstine said, adding: "That kind of activity is not compatible with the future of human spaceflight." Bridenstine was addressing NASA employees five days after India shot down a low-orbiting satellite in a missile test, known as Mission Shakti, to prove it was among the world's advanced space powers. The suspected suicide bomber, who was arrested on Monday for trying to target a CRPF convoy on the Jammu-Srinagar National Highway two days ago, has said that he was asked over phone to explode the paramilitary vehicle. Owais Amin Rather was arrested by a joint search party of police and the Army after a Santro exploded near Banihal slightly damaging a CRPF vehicle. "I was asked on phone to explode the convoy. My task was to drive the car and press the switch. I pressed the button while I was in the car. I was alone when I did it," he was quoted as saying by ANI. The purported attack comes right on the heels of the Pulwama terror attack in which a Jaish-e-Mohammed suicide bomber claimed the lives of 40 CRPF personnel. News18 Election Tracker: Tej Pratap launches outfit, Facebook's comes down on "fake news" and Nitish Kumar comments on "internal rift"
Facebook has removed 712 accounts and 390 pages in India and Pakistan because of "inauthentic behaviour" and spamming, it said on Monday, much of it linked to the Congress party days before elections and Pakistan's military. Among the most significant removals, Facebook said it took down 549 accounts and 138 pages linked to the Congress for "coordinated inauthentic behaviour". The social media giant said it also banned some accounts linked to an Indian company "associated with" a mobile app promoted by the BJP. Meanwhile, in Pakistan, Facebook removed 57 accounts, 24 pages, seven groups and 15 Instagram accounts, also for inauthentic behaviour, as part of a network which originated in Pakistan and was linked to employees of a unit of the Pakistani military. The move comes as Facebook is facing increasing pressure from authorities around the world to ensure its platform is not abused for political gains or to spread misinformation, especially ahead of elections. The feud in Lalu Prasad’s family has boiled over again with elder son Tej Pratap Yadav on Monday saying he would launch his own political outfit ‘Lalu Rabri Morcha’. According to sources, the new outfit may contest the Lok Sabha election on 20 seats in Bihar. Tej Pratap, who had last week resigned as the mentor of the RJD’s youth wing, confirmed that his decision was prompted by strain in ties with younger brother and RJD chief Tejashwi Yadav. ‘I will float the Lalu Rabri Morcha,” he told reporters in Patna on Monday. Attacking Tejashwi, Tej Pratap said his brother was surrounded by sycophants that had turned his brother against him. Kumar also commented on speculations of an internal rift between the party and Prashant Kishor, which arose after the latter opted out of the Lok Sabha race. Kumar, however, downplayed the rumours. “Prashant Kishor is still in the party and a campaigner for us. He and I share good relations. I trust him a lot. His being no. 2 or no. 3 is a matter of analysis but if he has any illusions it’s a different matter,” he said. Building up suspense in the run-up to any blockbuster election are the action-packed trailers of netas lobbying and posturing for tickets. 2019 is proving to be no different. The list of defectors includes 50 top leaders from across the political spectrum, including nine sitting MPs and 39 MLAs. Among the sitting lawmakers, three MPs and 10 MLAs have defected to the BJP, while three MPs and one MLA have switched over to the Congress. This also includes Shatrughan Sinha, who is all set to leave the BJP for the Congress this week. Read Ghazanfar Abbas’ analysis here. 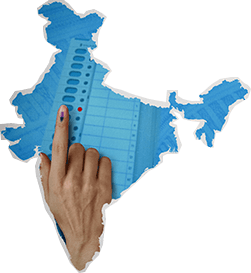 The Election Commission of India (ECI) has already seized Rs 302 crores worth of cash as of March 31, since it started publishing daily seizure reports on March 26 ahead of the Lok Sabha elections. The amount is in excess of the total money seized by the ECI throughout the duration of the 2014 Lok Sabha elections even as polling for the first phase, scheduled for April 11, is yet to take place. Fazil Khan analyses here. 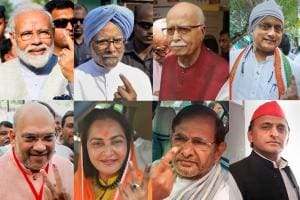 As India goes to vote in less than a month, it is not only the long queues of voters that would determine who wins the 17th Lok Sabha elections but also the postal ballots and the proxy voters. 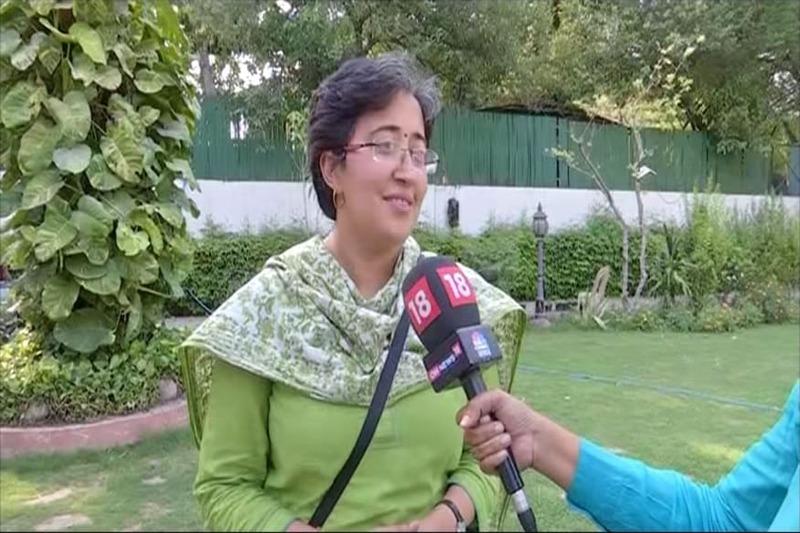 News18.com's Debaya Roy explains what postal ballots and proxy voters are.